I WILL BEAR TRUE FAITH AND ALLEGIANCE TO IJEBULAND. 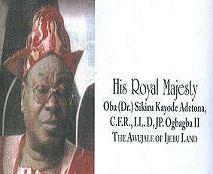 BE LOYAL AND TRUE TO IJEBULAND, OUR PEOPLE AND LEADERS. TO BE PREPARED TO SERVE IJEBULAND AND OUR COMMUNITY OF DOMICILE. TO SEEK THE PROGRESS AND UNITYOF IJEBULAND AND BY WORD AND DEED, PRESERVE THE PEACE AND UPHOLD THE LAW SO HELP ME GOD. The goals and objectives of the organization are to promote social, cultural, economic growth, and unity among the various organizations within the Ijebu communities, and professional development among Ijebu, and other Nigerians in Diaspora and non-Nigerians. 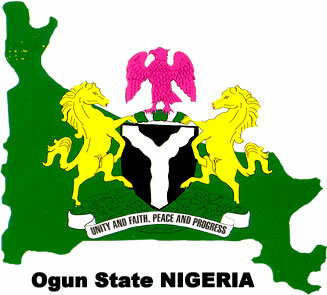 Solicit funds, expertise, and other items of necessities for the benefit of the public welfare, hospitals, charitable deeds, educational, agriculture, economic, scientific, and civic sectors of Ijebu Land and Nigeria. Divert the energies of the organization and its members to foster the awareness and understanding of the rich culture of the Ijebu in the United States of America. Website designed and hosted by Homestead | Managed by Kemi Sanni (Ijebu Washington). IJEBU ODE IJEBU NI, IJEBU IGBO IJEBU NI, IJEBU ISARA IJEBU NI, AYEPE IJEBU NI, IKORODU IJEBU NI, IJEBU EPE IJEBU NI, IJEBU SAGAMU IJEBU NI, IJEBU IMUSHIN IJEBU NI, IJEBU IFE IJEBU NI, IJEBU OSOSA IJEBU NI, IJEBU REMO IJEBU NI , IJEBU NONI DEDE NE OOO. IJEBU ONI ILE NLA, IJEBU OMO ALASO NLA!!! KINI WEN MI SE NI OGOJON ORU OMO ALARE EWE SO EEEEEEE. AJUWAAASSSEEE RENI OOOOOOOO ASE !!! !